As I’m sure pretty much the entire world knows, habemus papam! We have a pope! Or, well, as a non-Catholic I suppose I should say, “Habent papam.” They have a pope. 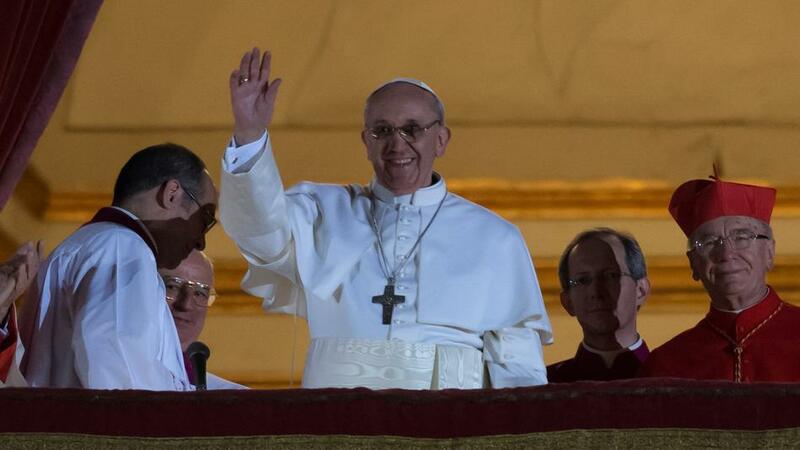 This was hands-down the most tweeted papal conclave ever, so this week’s #Hashtag of the week is #PopeFrancis! If the news reports from yesterday and today are anything to go by, this pope has already become something of a media darling. Though he didn’t out-tweet Barack Obama upon the occasion of his re-election, the pope did get 132,000 tweets per minute at the height of the frenzy, according to Mashable.com. Francis I won hearts from the very moment he chose his papal name. A Jesuit, he took the name in honor of St. Francis of Assisi, patron saint of Italy. St. Francis is also known for his life of poverty, a lifestyle the new pope emulates. As Archbishop of Buenos Aires, Cardinal Bergoglio reportedly refused to live in the bishop’s residence. He took public transportation to work, cooked his own meals and maintained a simple lifestyle. Apparently there’s no need to put these facts in the past tense, because according to the New York Times, he seems to have no intention of changing those habits as pope. So why does all this matter? Why was #PopeFrancis a trending topic on Twitter? And why should anyone care? Well, frankly, because 1.2 billion people in the world are Catholics, and because this man is now their religious and spiritual leader. Another reason people should care is because the Catholic Church, whether we like it or not, is a powerful institution. Its doctrines and teachings guide the beliefs and practices of many of those 1.2 billion. Is #PopeFrancis, therefore, likely to be a great reformer? No, probably not. As everyone now knows, he opposed the legalization of gay marriage in Argentina in 2010. He seems to take a traditional stance on women’s roles in the church and the celibacy of priests. But maybe, just maybe, this man’s humility, honesty and down-to-earth mentality will help move the church a step forward. One hopes he will address issues of corruption in the Vatican and the sexual abuse scandals. One also hopes that his new perspective on these issues will add a little oil to the rusty old machinery of the Church and help crank it slowly into the 21st century. Preferably before the 21st century is over.